BRYAN EATON/Staff Photo. 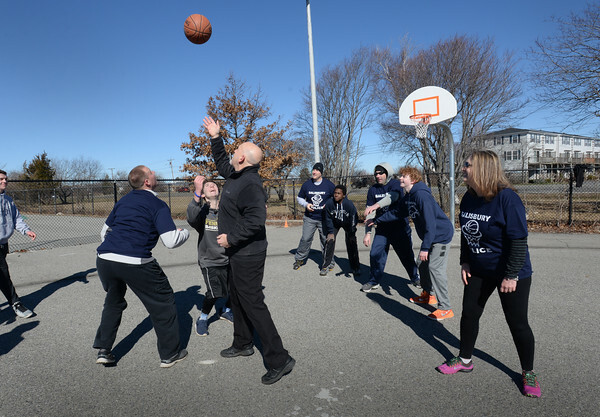 District Court Judge Michael Uhlarik tosses the basketball at the start of a game between youngsters and members of the Salisbury Police Department on Saturday. It was the opening of the Beach Basketball Hoop which is located next to the skateboard park.